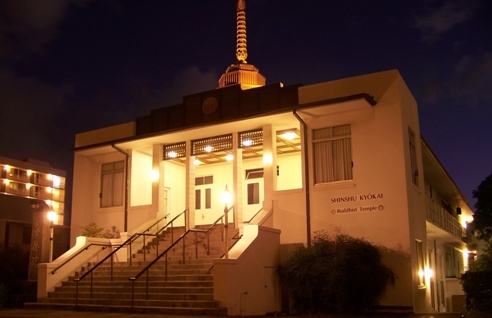 Shinshu Kyokai Mission of Hawaii was founded on April 14, 1914 in Pawaa as a fledgling independent group of Jodoshinshu faithful. Twenty-five founding members met at SeisukeYamashita’s home in Liliha to form a charter and by-laws. They determined that their group would be called ‘Shinshiyu Kiyokai.’ Its membership was comprised of issei immigrants primarily from Hiroshima who were deeply devoted to the life and teachings of Shinran Shonin who taught the life of “gratitude” and “reverence” based on the Truth of Amida Buddha’s Primal Vows and Sacred Name that is the basis of Universal Salvation for all sentient beings, not only man. Find out how you can support Shinshu Kyokai by shopping at Amazon.